In 2017, in the Annual FOIA Report for FY 2017, the Department of Justice reported 818,271 received FOIA requests and 111,344 backlogged FOIA requests. To deal with this incredibly large number of backlogged requests, the Summary of Agency Chief FOIA Officer Reports for 2017 points to the power of utilizing technology. However, utilizing ANY technology is not the solution. In one of my previous blog posts, I talked about FOIAXpress as one of the loudest names among FOIA software solutions on the market. But, as always, loudest doesn’t have to mean best. So we continue our evaluation of FOIA solutions. Today, I’d like to focus on Exterro. Like any FOIA solution on the market, Exterro has its strengths and weaknesses. In this blog post, I’ll make a detailed review of Exterro and we’ll see if there is any other FOIA solution on the market that can do a better job than Exterro. Exterro is a well-known industry leader with more than 15 years of experience. As such, it offers Legal Case Management solutions that have made a major impact on the Case Management industry. 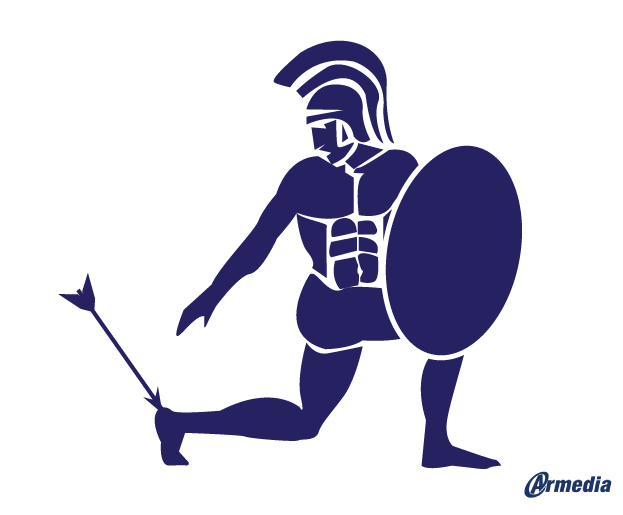 The greatest success of Exterro, so far, is their E-discovery software solution. This is why the first association my mind makes when I think of Exterro is e-discovery. But Exterro also offers an FOIA software solution that promises great improvement in FOIA processing. The FOIA software solution manages the entire process of FOIA, from request submission to delivery. To be able to do this, the Exterro FOIA/Public Records Portal has some key features. Exterro, as someone who has been in the Case Management industry for so long, is well aware of this necessity. Once a request is made through the Portal, appropriate personnel is notified of the required action. Whether it is searching, collecting, or reviewing requested documents, a dashboard provides visibility into the status and progress of every action. Exterro FOIA/Public Records Portal includes easily made workflow templates that automate all the tasks and activities associated with the FOIA process. Exterro FOIA/Public Records Portal enables federal agencies to establish a website on which citizens will easily submit FOIA requests and agencies will get all the necessary (and additional) information from requesters. Exterro FOIA/Public Records Portal also provides citizens with an online library of documents already disclosed under FOIA. Citizens can easily go through this library, search and view documents they need without submitting an FOIA request. Public disclosure helps to improve the experience for the public but also helps in unburdening agencies that deal with FOIA. The Exterro FOIA Portal also enables citizens to track the progress of their requests in real time. When it comes to data collection, Exterro is way ahead of most traditional collection tools. The Exterro FOIA/Public Records Portal uses a data collection approach that integrates collection with key data sources and centralized search. Such an approach allows collections to be managed remotely with no direct human interaction with data sources. This allows federal agencies faster access with minimal IT intervention and fewer system disruptions. Exterro provides authorized agency/department personnel to quickly find information and review documents without having to collect them first. Once responsive documents are identified, they can be retrieved for further action with one-click. This ability significantly reduces storage, review costs, and time of processing each FOIA request. The system also includes advanced analytics that helps federal agencies determine data volume and estimate costs associated with each request. As someone who has been in the e-discovery software solution business for almost 15 years, Exterro had plenty of time to address the document review functionality as a very important segment of FOIA processing. Thanks to this knowledge and experience, Exterro made sure to include a fully featured review module. With this module, Exterro FOIA/Public Records Portal allows reviewers robust review capabilities such as redaction, annotation, term highlighting and labeling to ensure that each document is appropriate to the request. Applying labels and redactions to groups of commonly-requested documents saves FOIA agencies time and money spent on fulfilling repeating requests. As you can see, Exterro FOIA/Public Records Portal offers many distinctive features. From automated predetermined workflows all the way to a fully featured review module, Exterro shows some great strengths when it comes to FOIA processing. However, all of these strengths become weaknesses when the FOIA/Public Records Portal is not integrated with other Exterro products. “The Exterro FOIA/PRR Portal is designed to help government agencies and others respond to records requests in an orchestrated process that is automated and repeatable. Another thing about Exterro FOIA/Public Records Portal that can be seen as a weakness is that it is a new product. Although the success of Exterro in the world of Legal Case Management and e-discovery is unquestionable, Exterro is relatively new to the world of FOIA. Exterro released their FOIA/Public Records Portal in August 2018. So, in my humble opinion, although Exterro FOIA/Public Records Portal has obviously a great potential, it is still too early to talk about how and IF it brings improvements to the FOIA Platforms market. All I can say for now is that Exterro FOIA/Public Records Portal seems promising, but it’s still too early to board that ship. Especially when there are a number of Exterro alternatives out there that have a proven track-record of meeting all of your requirements, now. Federal agencies cannot, and should not be doing compromises when it comes to FOIA software solutions and FOIA processing. Public records are an essential part of federal agencies. And settling for an unproven and untested FOIA solution, that only offers rich features when integrated with other Exterro products is definitely not the solution for reducing FOIA backlogs. Some time ago, it made sense for agencies to get tied to one company and use their technology stack that covers all processes that agency works with. But this has proven to be a good way to break budgets all the time. And, you find yourself locked to a single provider, that… however stable, is still just another private company that can face some rough seas. When employing a new software solution it’s not only the features you need to think about. There is migration, security of data, maintenance, training, etc. When so many things are at stake, you need to choose wisely. You need to find an experienced vendor that can take care of all of this. And as I said earlier, although Exterro is an industry leader when it comes to Legal Case Management, when it comes to FOIA Exterro is new. What I have in mind for an experienced, reliable, and secure Exterro alternative is ArkCase. ArkCase provides adaptive Case Management platform that is dynamic to support business solutions. Throughout the years, the ArkCase FOIA software solution has learned and evolved much. As such, it is undoubtedly the perfect Exterro alternative. Right now, this Exterro alternative is capable of so many things. From multi-tracking system, single interface for communication within and outside the federal agency, easy access to data, to security and regulations compliance and much more. Let’s take a more detailed look into the main ArkCase FOIA features. The only way federal agencies can downsize backlogs and timely respond to FOIA requests is with a well-defined and organized multi-tracking system. This multi-tracking system enables federal agencies and citizens to always know the status and progress of each request. Such a feature increases the transparency of the entire FOIA process and creates trust among citizens. Even more, this system shows which employee is responsible for what task and in what time. Which simplifies the process and improves the overall workflow. Federal agencies care about user experience. To make sure that citizens are satisfied with the entire experience, federal agencies need to make sure that they provide at least the essentials. I am talking about a portal for request submission and additional information, online library, progress tracking, and communication. This Exterro alternative integrates one interface for communication including both, the correlation between a federal agency with requesters, and the correlation among federal agency and other agencies/departments/colleagues. This feature of ArkCase FOIA software solution does not only contribute to better communication, but also to increased efficiency and productivity among employees and reduced time spent on processing each FOIA request. The number of received FOIA requests only in 2017 (818,271) shows the vital necessity for limitless and secure data storage. 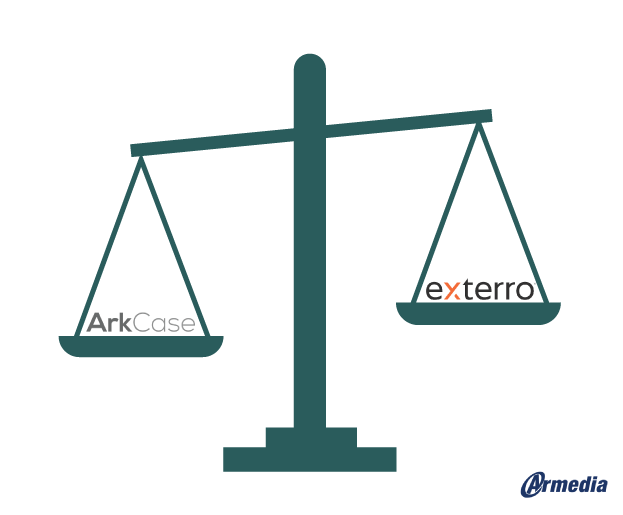 And because security is very important for this Exterro alternative, ArkCase makes sure to provide not only secure storage but also secure access. The ArkCase FOIA software solution is a cloud-based software solution which enables secure data storage and easy access to it. This Exterro alternative is made of many distributed resources acting like one. As such, it allows federal agencies secure access to data from anywhere in the world. With this FOIA solution, all the data is captured properly and stored in a data-storage compliant manner according to the National Archives and Records Administration (NARA) programs. The seamless integration of ArkCase with Alfresco, and AWS make this Exterro alternative a scalable solution that grows as the database(s) grow. Many federal agencies still rely on the traditional way of collecting data. This means actually going in with specific collection tools and copying data from its source. This approach takes a lot of time, a lot of effort, and it is prone to human error. Easily and quickly finding information and reviewing documents in one place without having to collect them first is what every FOIA agency needs. The centralized database and Cloud storage of ArkCase FOIA allow all request-related records to be safely stored in one single place. This does not only offer easier access to records, but it also improves search practices. This Exterro alternative swiftly connects any number of remote data sources to capture wanted results in just a few seconds. Even more, the ArkCase FOIA offers search through multimedia files. Multimedia files are no strange for federal agencies. There are tons of valuable information that are trapped in audio or video formats. And federal agencies need to find a way to make use of them. Thanks to the power of Artificial Intelligence and ArkCase’s collaboration with AWS, this Exterro alternative offers transcription of multimedia files as part of the software solution. This feature allows federal agencies to make use of files stored in different formats. Courtroom recordings, judicial hearings, witness recording, etc. can now easily be searched through and further managed as part of FOIA. This innovation of the ArkCase FOIA software solution lifts this Exterro alternative a level higher than the rest of the competition. All agencies should adopt a presumption of disclosure. The presumption of disclosure should be applied to all decisions involving FOIA. And this Exterro alternative is very aware of that. The ArkCase FOIA software solution applies the FOIA’s presumption in favor of disclosure ensuring that no information is withheld unnecessarily. With an exception, of course, when the disclosure may harm an interest protected by one of the statutory exemptions. The ArkCase FOIA software solution allows for proactive releases of records on a rolling basis according to the Office of Government Information Services (OGIS) recommendations. It’s needless to point out the importance of responding to security laws and regulations. And the ArkCase FOIA software solution pays special attention to security. FedRAMP and DoD 5015 are the toughest security standards worldwide. The ArkCase FOIA is FedRAMP compliant, DoD certified and responds to NARA recommendations. As such, this FOIA software solution protects content from data loss and data destruction. When you take into consideration all these features of the ArkCase FOIA software solution and the almost two decades of experience, and compare them to Exterro FOIA/Public Records Portal, the outcome is pretty obvious. With the ArkCase FOIA, you get an experienced, secure, reliable, scalable, flexible, fast, and cost-effective FOIA software that will increase the efficiency of FOIA operations, reduce costs, and increase employee productivity. All in all, this Exterro alternative would certainly be my go-to software solution when it comes to FOIA. Which one is your choice depends solely on you and your organization’s specific needs. With Exterro FOIA/Public Record Portal you get a fully-featured FOIA software solution. But, as I mentioned earlier, most of these features are made possible only when the Portal solution is integrated with other Exterro products. 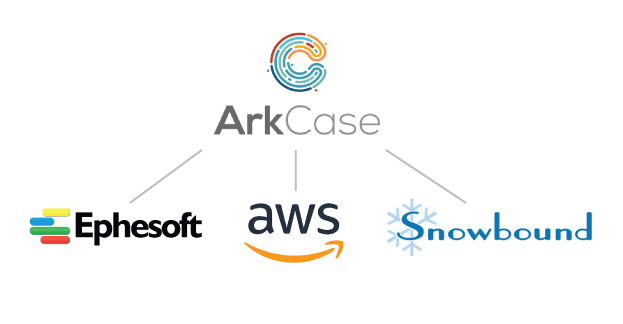 On the other hand, with ArkCase, you get an experienced, reliable, secure, open-source FOIA software solution that uses tried and tested technologies like Snowbound, Ephesoft, AWS, etc. Which FOIA software solution you’ll choose depends on your organization’ requirements. I hope that my review was detailed enough to help you pick the right FOIA software solution for your organization. If you have any comments or questions about my thoughts and opinions in this blog post, feel free to comment below or contact us.